Co-occurring PTSD and alcoholism requires professional care. United States military veterans who suffer from Post-Traumatic Stress Disorder (PTSD) are often linked to alcohol abuse. This is not a mere stereotype. Up to 50 percent of those with PTSD also suffer from alcoholism, and as many as 60 to 80 percent of Vietnam veterans with PTSD have reported abuse of alcohol, according to the National Center for Post-Traumatic Stress Disorder. These are extraordinary statistics, and they highlight a real epidemic. Through greater understanding, we can provide better care for those with co-occurring PTSD and alcoholism. In this context, dual diagnosis refers to sufferers of PTSD who also develop an addiction, such as alcoholism. Sufferers will often report feeling a loss of control with PTSD. Many turn to substances that have psychological or mind-altering effects, notably alcohol, to regain a sense of control over their own mood and emotional state. PTSD with a co-occurring addiction can often lead to a vicious spiral, where the combination of side effects, symptoms and emotional turbulence can further deepen feelings of pain. This only encourages further dependence on a drug to provide relief from the co-occurring cycle. Re-experiencing traumatic events: This is the most common and well-known side effect associated with PTSD. It is believed that trauma can damage the hippocampus (area of the brain responsible for storing and retrieving memories), causing flashbacks to events that seem very real to the individual re-living them. Emotional numbing and feelings of detachment: Many with PTSD live in a malaise, avoiding activities or thoughts that could provide arousal and might trigger memories of the traumatic event. This in turn creates emotional distance and loss of interest in experiencing life. Difficulty falling or staying asleep: The anxiety related to this disorder often causes difficulty sleeping, and many with PTSD report having nightmares. If the nightmares are severe enough, or cause the individual to re-experience traumatic events, a fear of sleep can develop. Guilt, shame or self-loathing: Sometimes referred to as “survivors’ guilt,” PTSD can cause the individual to feel as if they did something wrong by surviving a traumatic event, such as military combat, while others did not. These feelings can lead to depression or thoughts of suicide. Psychological research shows that those who survive traumatic events report feeling increased anxiety, stress, aggression, depression, and thoughts of suicide. It is also believed that endorphin levels in the brain rise dramatically during traumatic events; after the event, however, endorphin levels gradually drop and may lead to a deficiency, causing further emotional distress. Alcohol releases endorphins, causing sensations of pleasure while numbing emotional or physical pain. 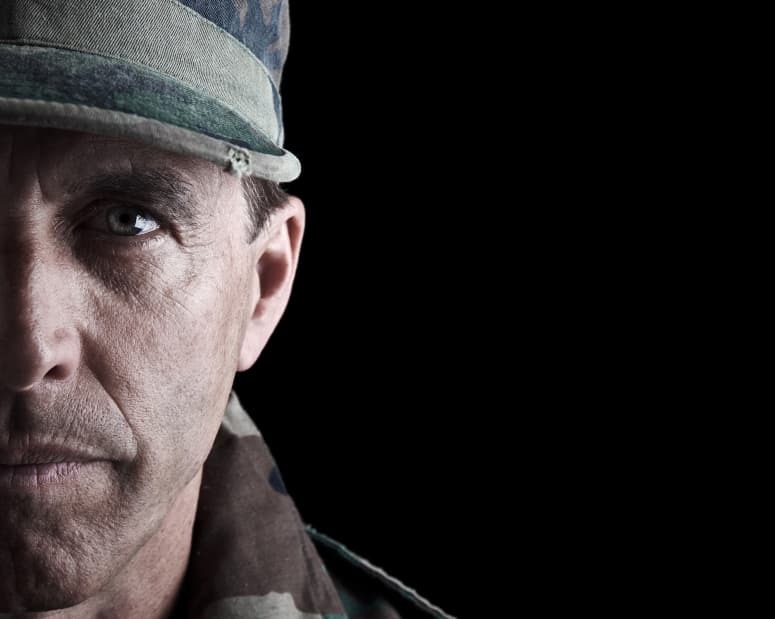 Due to their probable deficiency in endorphin levels, military veterans with PTSD will be very susceptible to addiction, as the brain craves the stress- and pain-relieving effects of alcohol. While alcohol can provide a temporary respite from the symptoms of PTSD, the unpleasant side effects of alcoholism will soon take over, including poor sleep, memory loss, impaired decision making, and mood alterations. This combination of side effects makes it very difficult for veterans who have created a PTSD-driven dependence to function in everyday life. PTSD is a serious psychological and neurological disorder that affects a great number of military veterans in the United States every day. Following the Vietnam War, American culture came to view veterans suffering from PTSD as “drunks” and cast them in a negative light. Thankfully, due to increased scientific understanding of the disorder, this perception is beginning to change. There are dual-diagnosis treatment options for individuals suffering from PTSD and alcoholism. Treatment can include education, therapy, detox, medication, and support groups. Call our help line at 1-800-928-9139 and speak to a recovery expert today.